Beloved songwriter, composer and pianist Michel Legrand who won three Oscars died yesterday in his home in France. He was 86. Legrand’s music cross over many genres of music and was known for film scores like ‘The Windmills of Your Mind’ and I ‘Will Wait For You’. 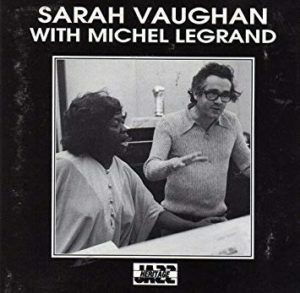 Throughout his career, Legrand played jazz piano, sang, conducted, produced records, wrote music for Hollywood films and worked with stars like Miles Davis, Sarah Vaughn, Frank Sinatra and Barbra Streisand. Ringside Report extends our deepest condolences to the Legrand Family in their time of grief.